We've expanded our network of fishing cams to include the Imperial Beach Pier Side fishing cam. Now it's easier than ever to check conditions at Imperial Beach Pier Side simply by visiting the Imperial Beach Pier Side fishing cam page. We've also included the latest weather forecasts, sunrise, sunset and tide information for Imperial Beach Pier Side so it's easy to see what conditions will be like over the next few days. Remember to check local regulations before fishing Imperial Beach Pier Side so you can stay informed of fishing times, license requirements and closures. Remember that marine weather conditions can rapidly change, so before you visit Imperial Beach Pier Side, be sure to check the latest marine weather forecasts for Imperial Beach Pier Side. 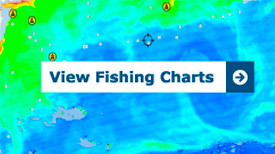 In order to determine the current water temperatures and water clarity at Imperial Beach Pier Side you should view our SST and Chlorophyll charts before heading to Imperial Beach Pier Side. If you are interested in learning advanced bait rigging techniques and how to tie fishing knots visit Fishtrack's "how-to" section before heading to Imperial Beach Pier Side. Finally, submit a fishing report to Fishtrack and let others know what's biting at Imperial Beach Pier Side!